 scioto mile Archives | What Should We Do Today? 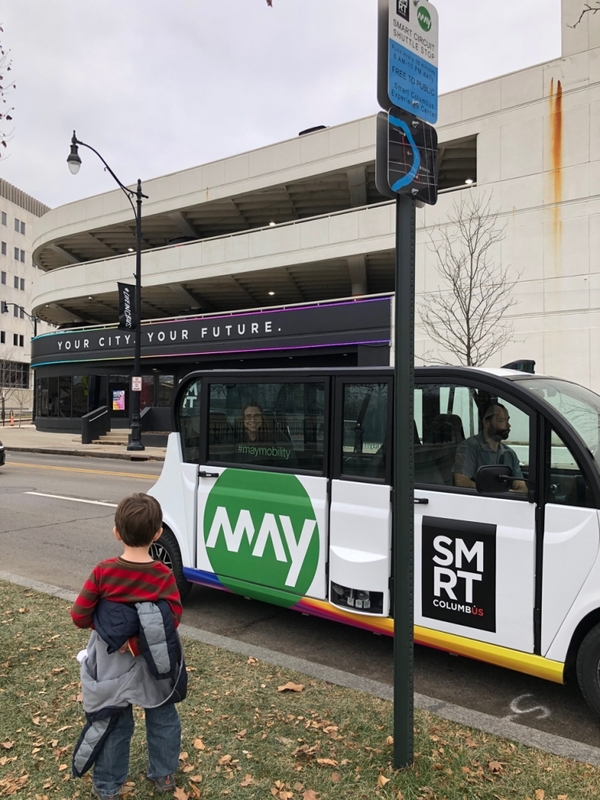 Explore the Scioto Mile with your family by riding Smart Circuit, Ohio’s first self-driving shuttle! You can be a part of the start of a new era of mobility innovation in Central Ohio! 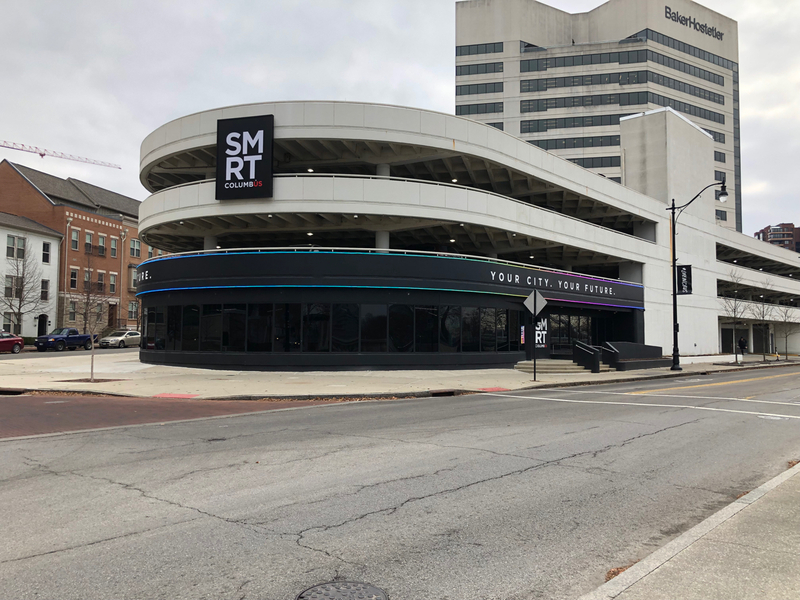 Thank you to Smart Columbus for sponsoring this post! 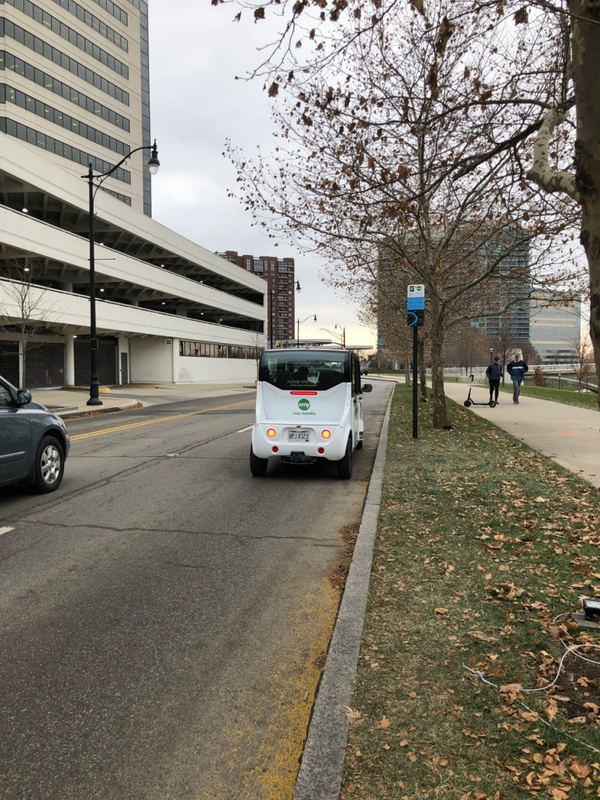 Columbus is home to Ohio’s first self driving shuttle! Sound scary? 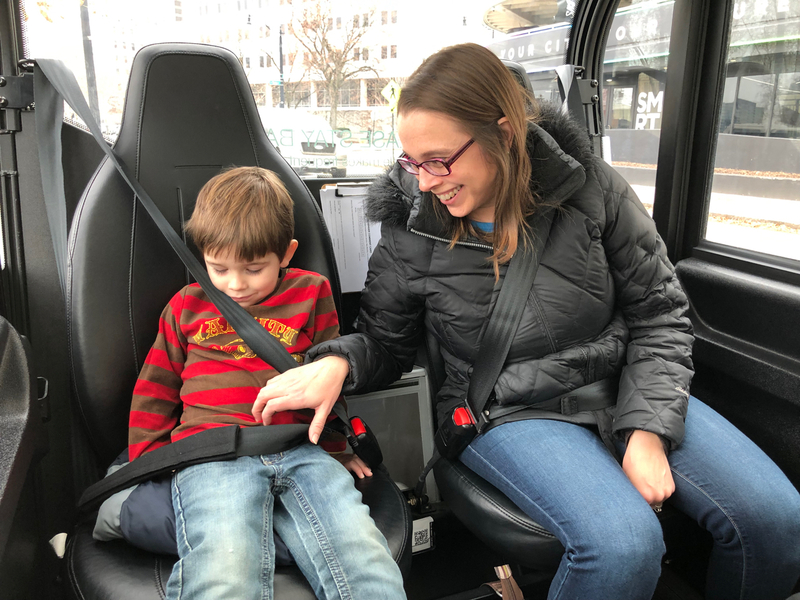 I’ll admit I was a little bit nervous – especially just a few weeks after having been in a car accident – to take my 4 year old on a self-driving vehicle! But when I found out that all of the vehicles are manned by an attendant who can step in at any time, my fear subsided! Turns out the majority of vehicle accidents are caused by user error! The hope is that one day, self driving vehicles, though they may sound scary to us now, will actually reduce accidents and save lives. What is the Smart Circuit? 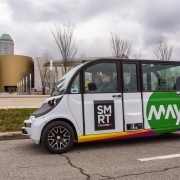 Columbus is home base to a project called Smart Circuit, a self-driving shuttle. It’s the first of its kind in Ohio and it’s short route is 1.5 miles, has 4 stops, and takes about 15 minutes to complete. The shuttle is free to ride and operates from 6:00 AM to 10:00 PM every day. Funded through October, the project has two major goals. 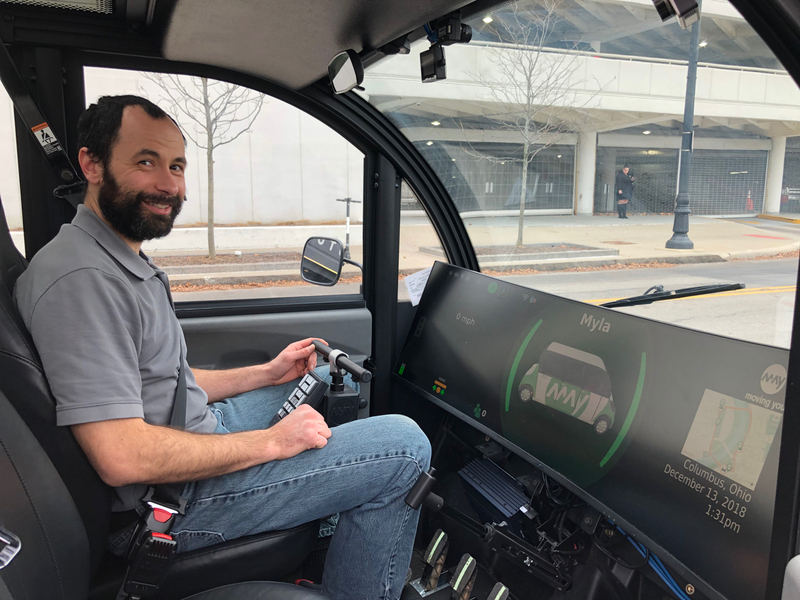 One is to provide data and information to engineers, researchers and policymakers from Smart Columbus, DriveOhio and The Ohio State University as they decide how self-driving technology can be further used around Ohio. The second goal is to offer us, the general public, a hands-on experience with self-driving technology. Think of this as an educational project- for all of us! How does the Smart Circuit work? The shuttle uses sensors and intelligent software with a 360 degree view to help the vehicle know where it is, what direction to go and when to stop. If someone or something runs into the street, the shuttle can tell and knows to stop. And don’t worry, the attendant tells the shuttle when to pull away from each stop. It’s not going to start going before you’re safely in the vehicle! Is the Smart Circuit Safe for Kids? You might also be wondering, as I did, about safety for children. The first thing that might set your mind at ease is that there is a vehicle attendant in each shuttle who can take control at any time. While I was riding, we encountered a truck parked in a space where the Smart Circuit was supposed to make a full u-turn but there wasn’t enough room. The attendant stepped in and made the turn. Secondly, the vehicle goes at a max speed of 25 miles per hour. There are 4 seats in the back that are in a “campfire” configuration. You will need to follow the same vehicle safety guidelines that you follow in your own car. Children under 4 are required to have a car seat on the Smart Circuit. I would recommend doing this with children who need a booster seat or no seat at all for ease of transport! Where can I get on the Smart Circuit? 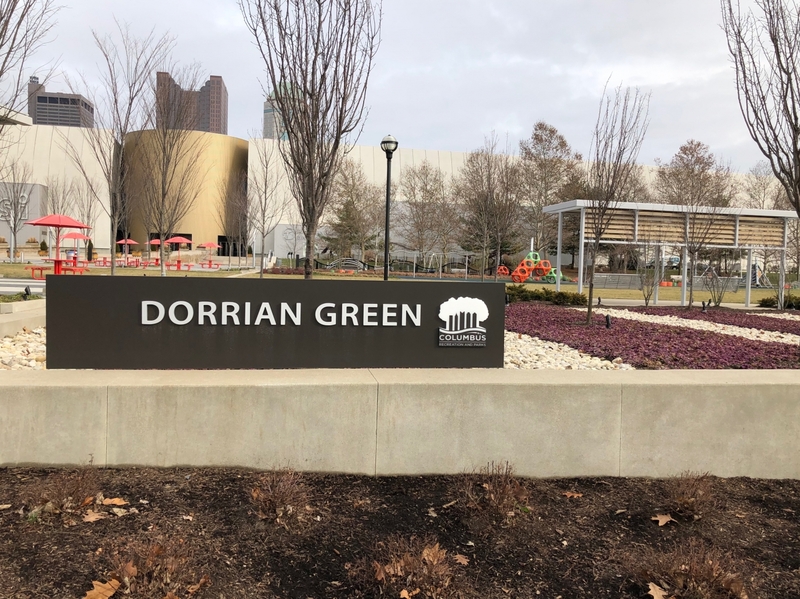 The Smart Circuit has 4 stops: COSI, National Veterans Memorial and Museum, Bicentennial Park and Smart Columbus Experience Center. There is a sign at each stop letting you know where to wait for the shuttle. There are three shuttles on the route and your wait time in between shuttles is around 10 minutes. View the route here. 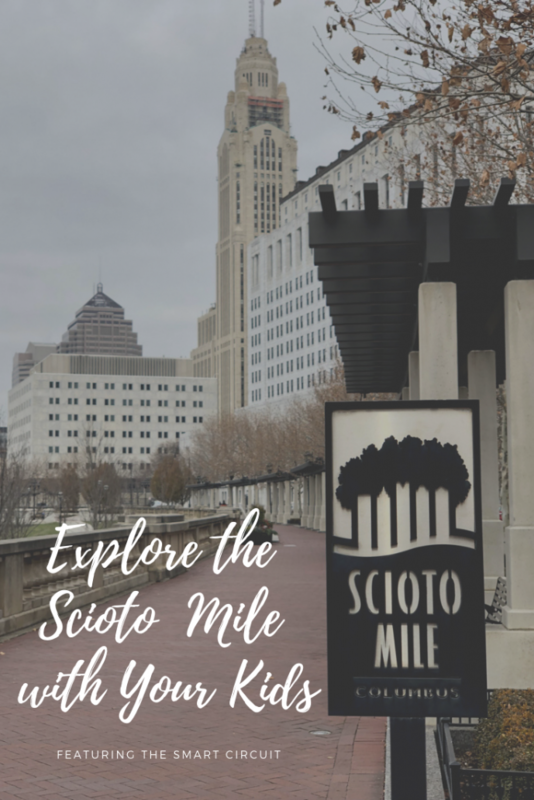 What is there to do on the Scioto Mile? 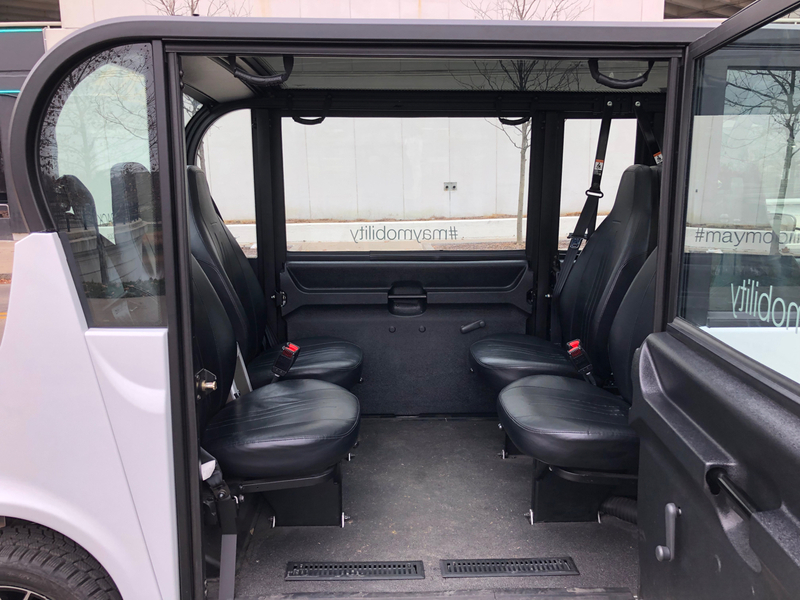 So now that we’ve got all of the technical questions out of the way, I’m hoping you’ve come to see the Smart Circuit Shuttle in the same way I did: as an experience. The Smart Circuit exists to help us learn about self-driving technology and to experience it ourselves. 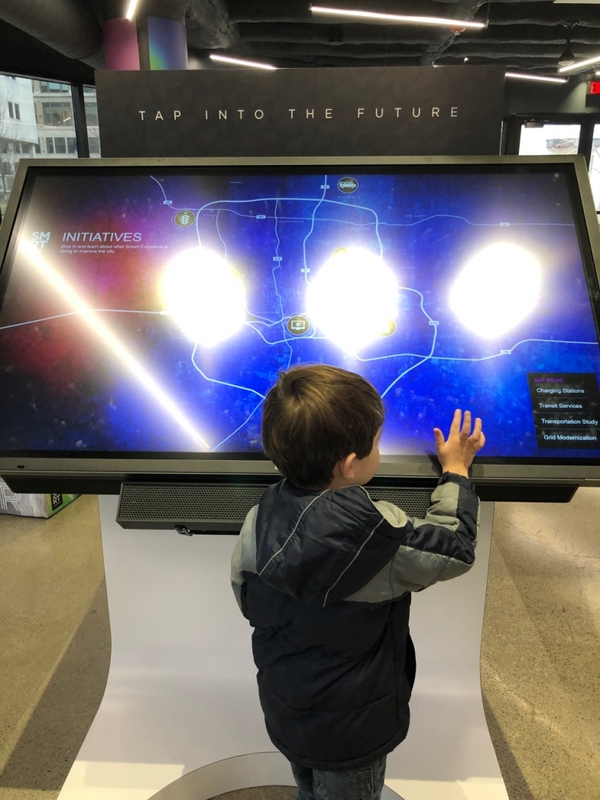 We are the first city in Ohio to have access to this kind of experience and it will certainly be a part of our children’s lives in the future! Why not take this opportunity to be “a part of the start” and be one of the first people in our state to have this experience? I’m proposing you make a day of it! 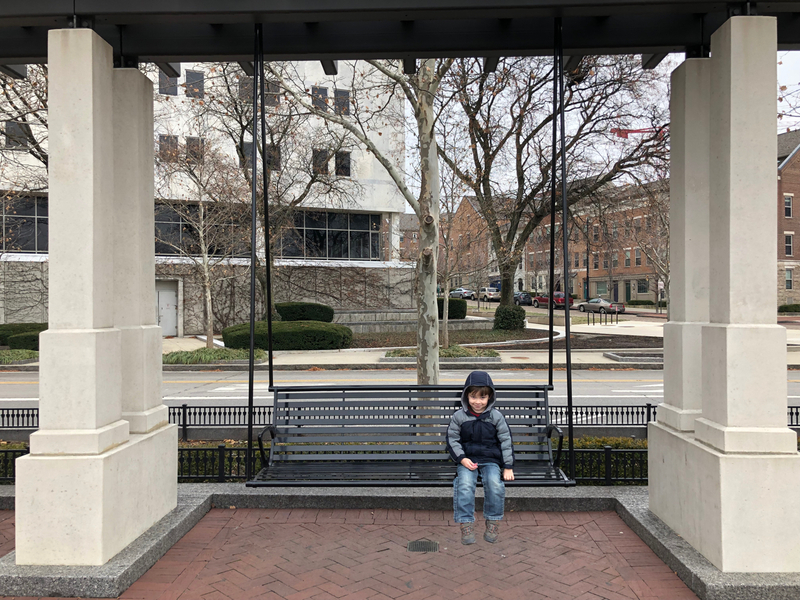 Here are 8 family-friendly things to do around the Scioto Mile that enable you to take your kids on the Smart Circuit as part of your transportation! Pick a few of these stops that make sense for your family and give it a try! I recommend starting at COSI for your trip on the Smart Circuit! There is an underground parking garage where you can park and if you visit COSI you can have your parking validated. Parking is $5 for COSI members and $6 for the general public if you get your ticket stamped at the COSI box office. Otherwise parking is $6 for the first 3 hours and $2 for each additional hour up to $15. COSI (Center Of Science and Industry) offers fun and educational experiences for all ages! 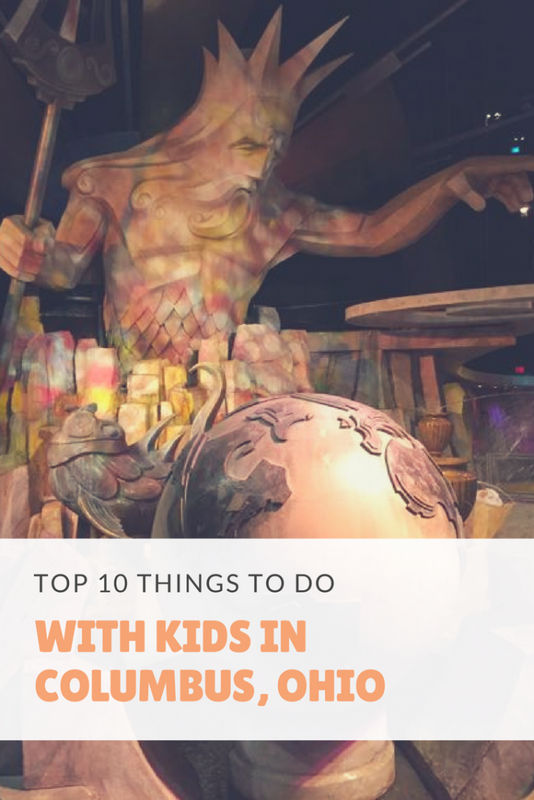 From the little kidspace for toddlers to all of the amazing regular science exhibits, rotating exhibits and the American Museum of Natural History Dinosaur Gallery there is truly something for everyone! 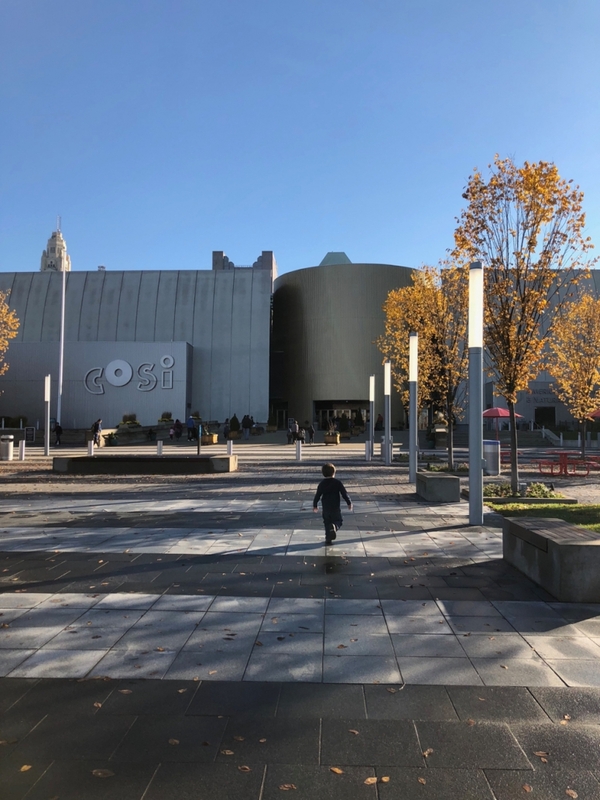 Don’t have time for a full on visit to COSI? Check out the park and playground area just outside of COSI. There are several play structures and small fountains during the summer! Outside of COSI there are also a couple of dinosaur displays that can be seen without entering COSI. The Smart Columbus Experience Center is open for you to stop in and learn about the future of transportation! There are touch screens with games that can be played (also look for these around the Short North!) and vehicles to explore. 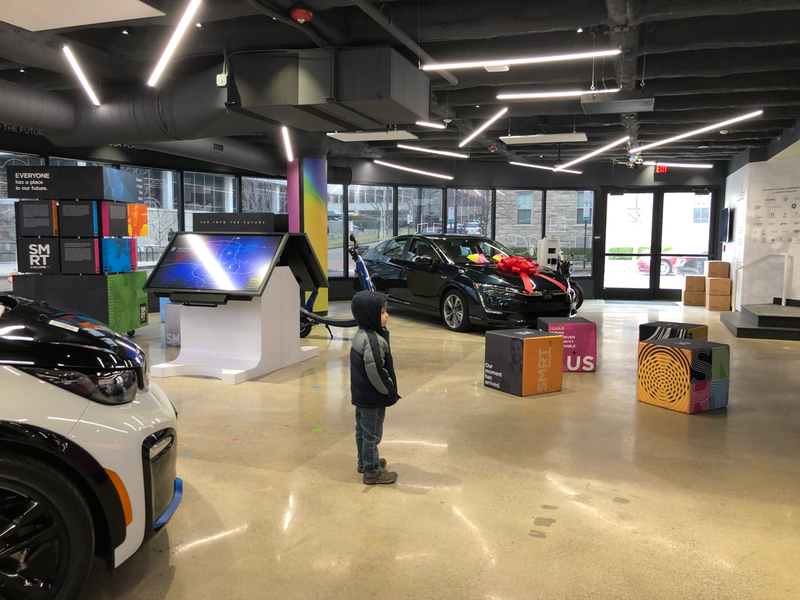 If you are interested in purchasing an electric vehicle you can also come to The Smart Columbus Experience Center to test drive vehicles in a no-pressure situation! 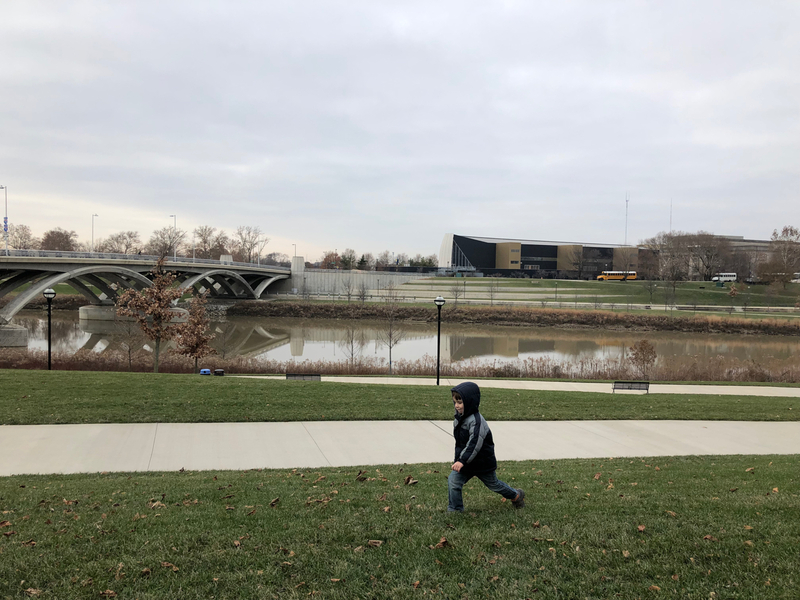 Bicentennial Park is a great hang out space for families! During the summer, kids can play in the fountains and during the holiday season, the park is decked out with lights! 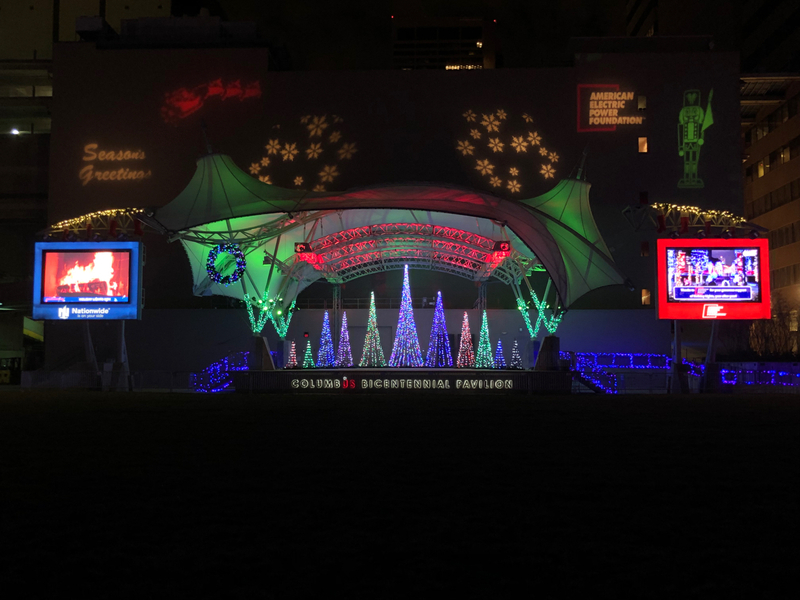 Taking the Smart Circuit around its route is a great way to see the holiday lights all throughout the Scioto Mile! Stop by the Cultural Arts Center to visit one of the art galleries. Admission is free. Adults can take classes here or join in one of the Conversations and Coffee talks! 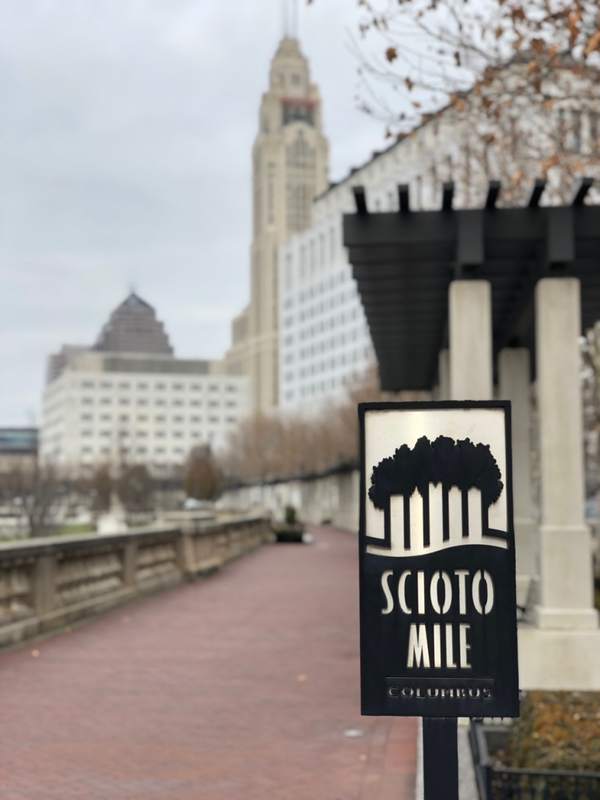 The Scioto Mile encompasses 175 acres of parkland and includes bikeways, walking paths and 9 parks! The Promenade on the Scioto Mile is a walkway along the river that offers stunning views of downtown and swings and benches for relaxing. 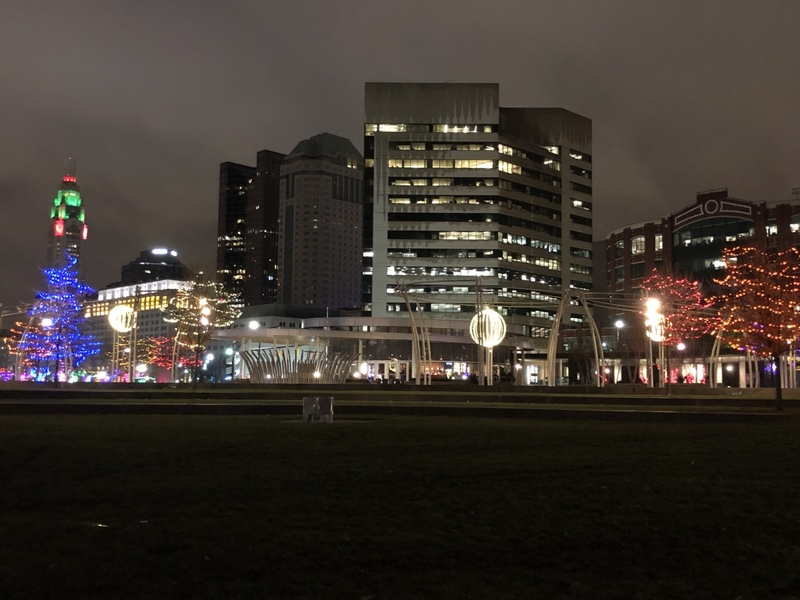 Just a short walk from Bicentennial Park, Columbus Commons is another great spot to view holiday lights or to play in the summer! 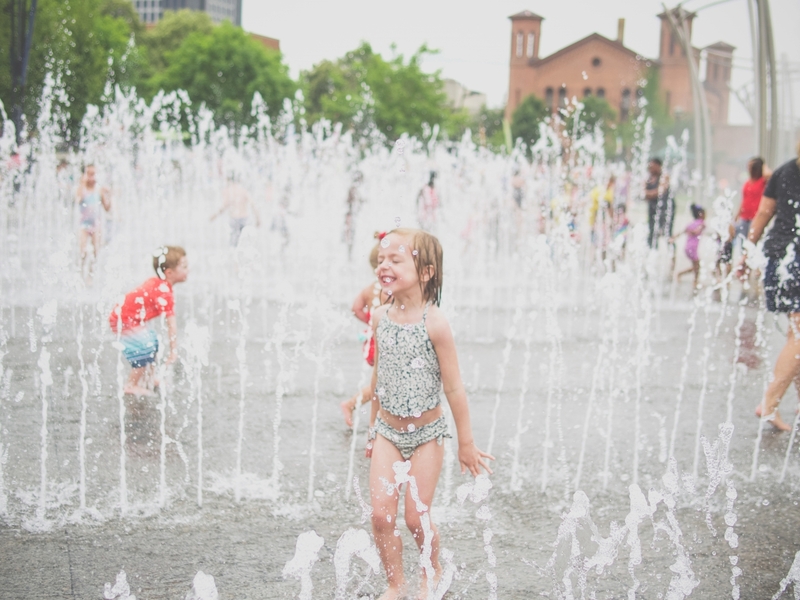 Columbus Commons is home to many free events during the spring through fall and is a large green space to let your kids run out all that energy no matter what time of year! After visiting the Smart Columbus Experience Center and taking a ride on the shuttle, my interest is piqued! I’m curious to see how transportation will change in my kids’ life time. What about you? Will you take your kids on the Smart Circuit this year? 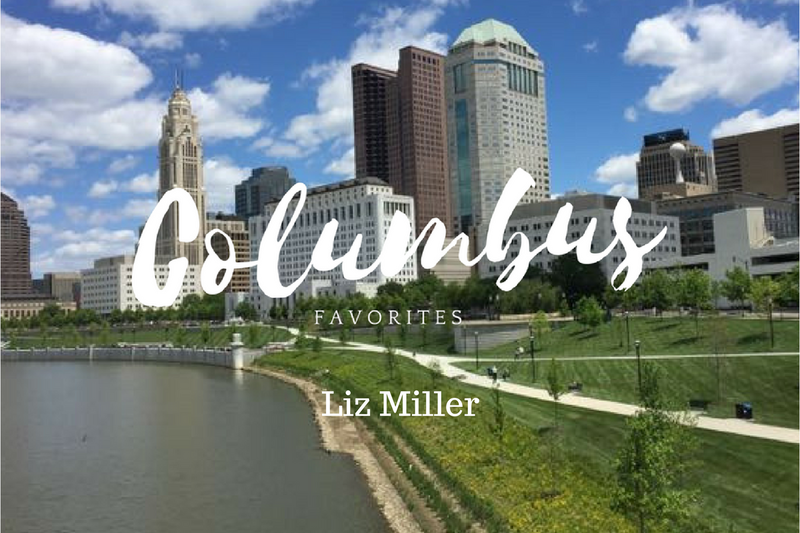 Each month I will be featuring a local parent who will tell us about three places they love to take their kids in Columbus! Thanks to Liz for sharing 3 of her favorites with us this month! Some of my favorite days over the past 5 years have been spent at Slate Run. Located in Canal Winchester, it’s a living, historical 1880’s farm. This means people work the garden, can fruits/veggies, cure meat & raise the animals. The idea is to create an understanding of farm life in the 1800’s. It’s free to get in & you should totally bring a picnic!! The kids are free to roam the barns & interact with the horses, sheep, pigs, cows & chickens. There is so much room to run, all under a gorgeous blue sky. We love trying out old the fashioned stilts & hula hoops or pumping buckets of water for the garden. I’m obsessed with taking my 3 & 5 year old the theater. The actors are kiddos of all ages. A few of the performances this season include Snow White, Goodnight Moon & James & the Giant Peach. The shows are usually just under an hour which is just right for little theater goers! 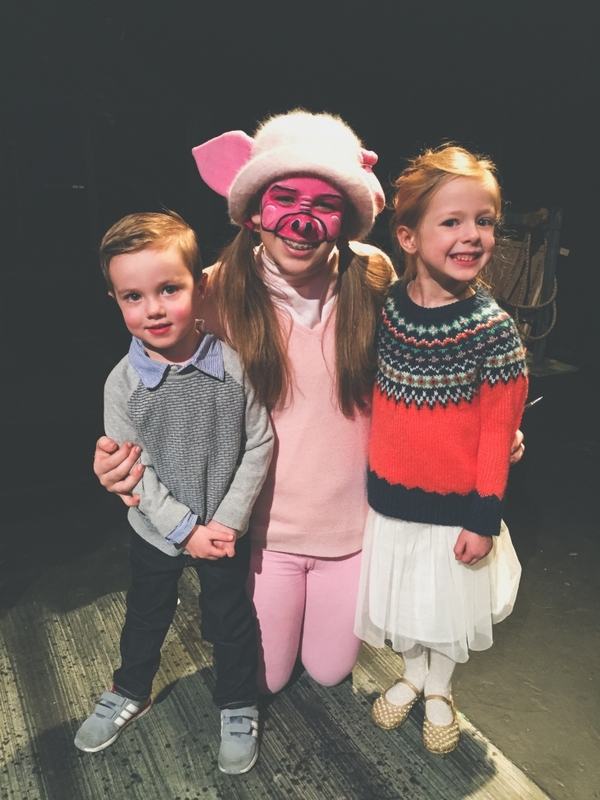 We recently saw Charlotte’s Web & the highlight was getting to meet Charlotte, Wilbur & Templeton after the show. The actors mingle with the audience and offer to autograph their play bill. My kids were in heaven getting up close and personal with their favorite characters! It’s nestled in between the North Market & Goodale Park so naturally after the show we hit the market for an amazing Italian lunch from Sarefinos and Pistacia Vera macaroons for dessert!! If the weather is nice stock up on yummy eats at the North Market and walk over to the park for a picnic!!! Parking is easy at the market itself or just across the street is a parking garage!! Certain Wednesdays last Summer they hosted a slew of kid friendly sponsors starting at 11:30. There was gardening with Lowes, petting snakes, the Columbus Crew was there with a fun soccer activity. Not to mention Bicentennial park has tons of mature trees shading the grassy areas. Perfect for a picnic or to grab a slice of pizza from the Donato’s truck!!! The toddlers ran laps on the bridge while the big kids grumped about posing for pics. Then we splashed for hours in the amazing fountains & everyone was happy again!!!! Follow along with the Mile’s calender of events HERE! Hello! I’m Liz over on Instagram @lizbon_j. 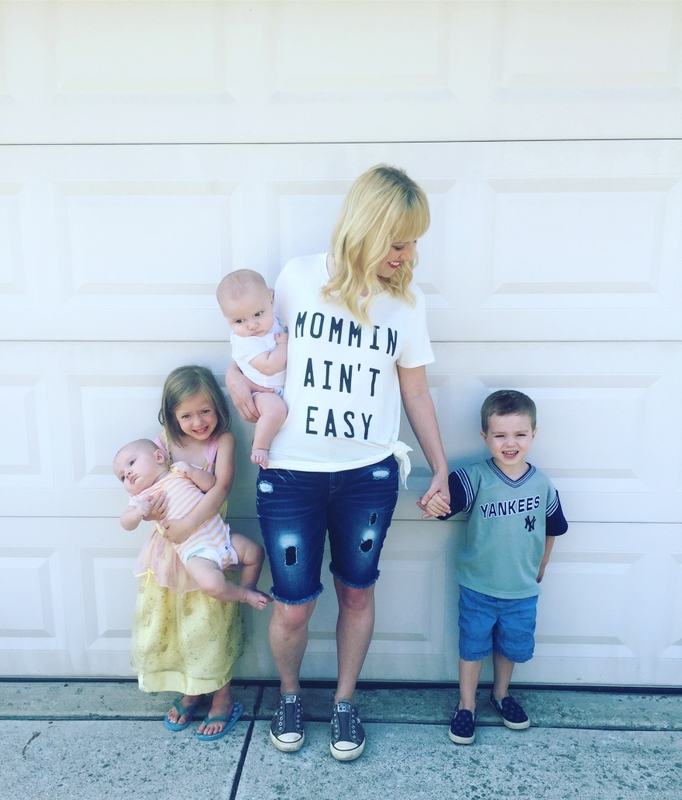 I’m a full time working mama to 4 littles, 5 & under. The youngest are identical twins. No, they don’t run in my family & yes, I almost stroked out when I found out there were two!!! I love adventuring with my hubby and the babes. I blog over at www.lizbonj.blogspot.com. My life currently involves navigating work, wine, swim lessons, nut allergies & pre-school/kindergarten drama while trying to sneak in an occasional date nite. I love to shop & have a serious thrift store addiction. I think Columbus is the bomb! I love our amazing libraries & farmers markets, exploring the metro parks & summer nites on a patio at Easton. Kids 12 and under can kick off the weekend with a story and craft about rainbows. The Credit Union of Ohio sponsors this totally free Carnival! The carnival features live music, games, inflatables, and free food from The Angry Weiner food truck! This special event for teens includes author visits, trivia, games, giveaways and the opportunity to sample upcoming novels and win books! Each day of the festival has a different theme with workshops and specific giveaways! Search for events at your closest Barnes and Noble! 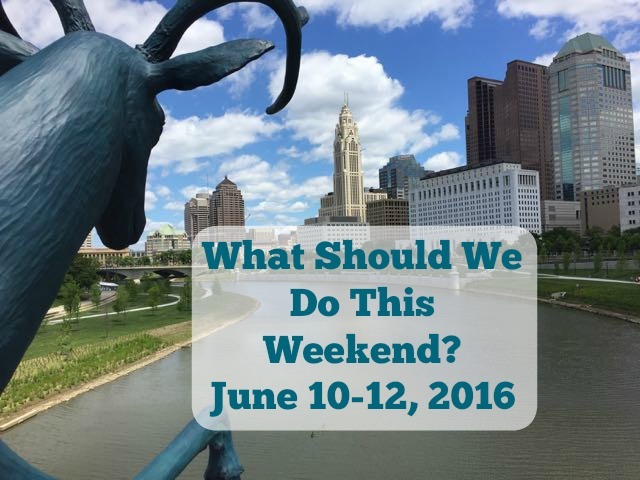 So many artists, events and special activities are going on this weekend at the Columbus Arts Festival! 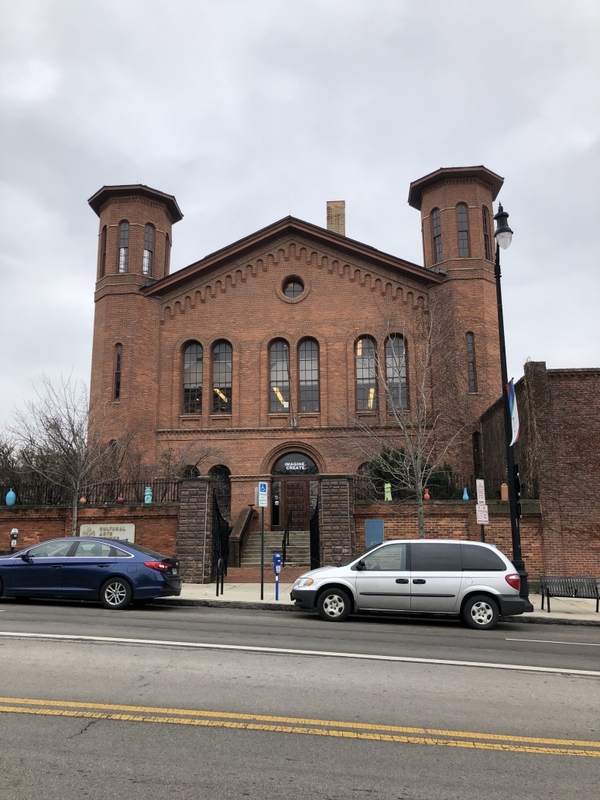 Specifically for kids, check out the Columbus Makes Art Activity Village presented by Kroger, where kids can do arts and craft activities and the Children’s Art Gallery on Saturday and Sunday, where kids can enter a kid-sized art gallery and purchase artwork for $5 and under! Outside of COSI, artist Daniel McCauley will assemble a metal T-Rex! There will also be a Student and Community Art Exhibition and a performance of the Lorax by local actors on Saturday and Sunday. Check out the Festival Guidebook for detailed information about all of the events and the special activities for children on pages 18-20! A day of workshops, book signings, break out sessions, food trucks and meetings with community organizations will take place during this celebration of teen fiction! See the complete Schedule of Events here. 6. Lowe’s Build and Grow Clinic at your local Lowe’s! Build your own Captain America! Get a free apron, goggles, and patch! Register online. All ages are invited to build and race airplanes and cars made out of Legos! The City of Groveport Community Affairs Department is hosting this nature fair featuring a scavenger hunt, kid’s fishing derby, nature displays and the chance to learn about bees! Join Clintonville Rotary for their 6th Annual Movie in the Park! It’s free! 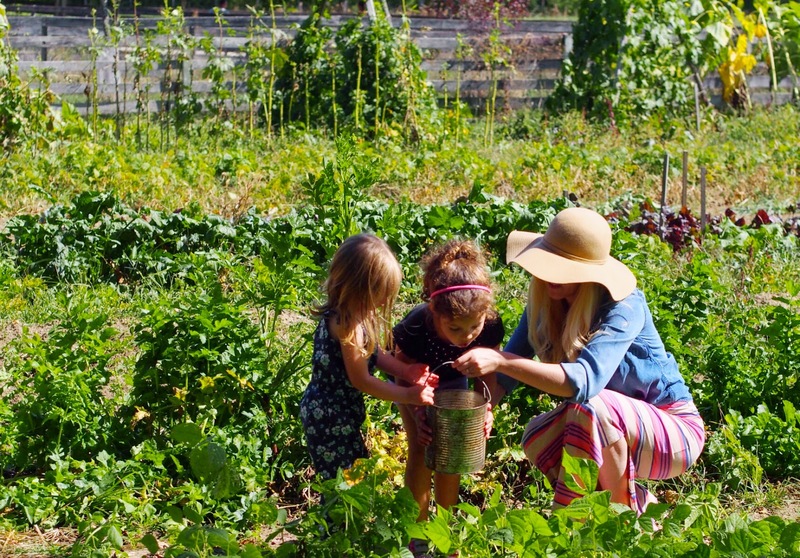 The Clintonville Farmers’ Market will show kids 12 and under how to plant seeds and start their own garden! Plus, kids eat free every Sunday!